Professor Xiangqun Chang is President of Global China Institute, Director of CCPN Global (China in Comparative Perspective Network Global) and Global China Thinktank (a knowledge-based think tank for social consultancy), Editor of the Journal of China in Comparative Perspective (JCCP), Editor-in-Chief of Global China Press. She is Honorary Professor of University College London (UCL), Visiting Professor of University of Westminster, Professorial Research Associate of SOAS, University of London in the UK; and holder of several Professorships and Senior Fellowships at Peking, Renmin, Fudan, Sun Yat-Sen, Jilin, Northeast University, Northeast Normal Universities, etc. in China. 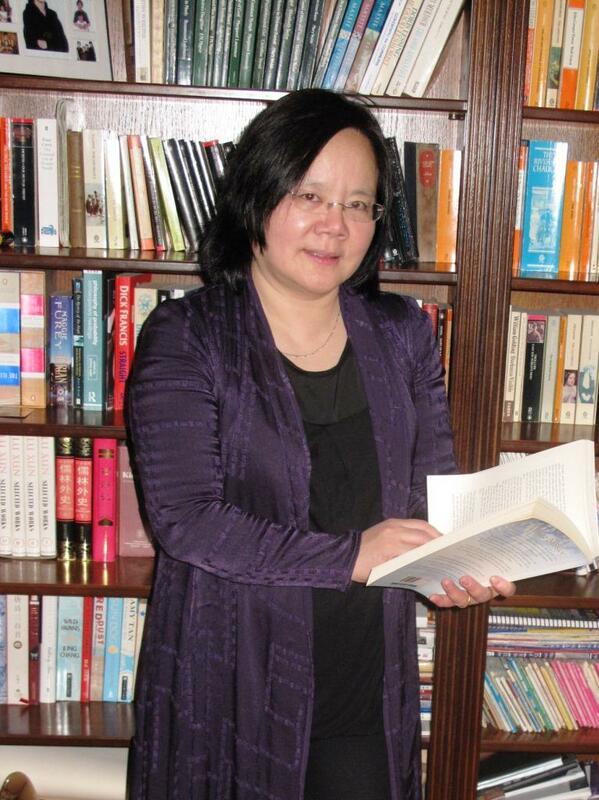 The only UK-based sociologist trained in both China and the UK, Xiangqun has been working at universities on social scientific studies of China interdisciplinarily since 1991, when she came to the UK as a Visiting Fellow. She has participated in more than 20 research projects at home and abroad, and published nearly 100 Chinese and English items, nearly there million words, including: On Marxist Sociology (580,000 words; 2018; 460,000 words, 1992), Guanxi or Li shang wanglai? 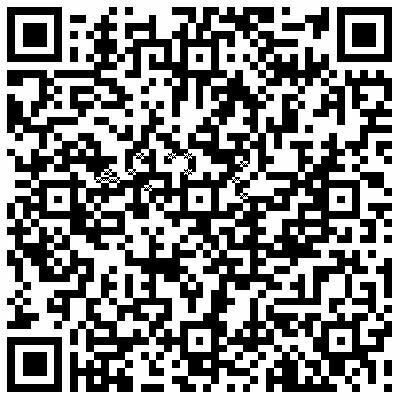 -- Reciprocity, Social Support Networks, & Social Creativity in a Chinese Village (simplified Chinese version, 540,000 words, 2009; English and traditional Chinese versions, 2010); edited work: A record of launching Martin Albrow‘s book:China’s Role in a Shared Human Future (2018); Fei Xiaotong Studies (three volumes, in English and Chinese with Feuchtwang et al., 2015-17); Society building -- A China Model of Social Development (English edition,2014; English new edition, Chinese new editions, 2014-18); Women of China: Economic and Social Transformation (with West et al, 1999); Social Support in Rural China (1979-91): A Statistical Report on Ten Village (with Feuchtwang, 1996). She is currently editing four series of books (both in English and Chinese): "Chinese Concepts", "Globalization of Chinese Social Sciences", "Global Chinese Dialogue Proceedings" and "Transcultural Experiences with ‘Three Eyes’". At the maintime she is in charging of publications of several book series. Xiangqun is Fellow of the Royal Anthropological Institute (RAI). 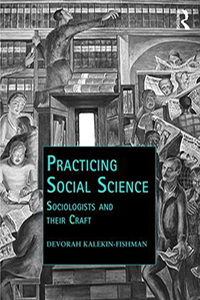 She was marked out by the Academic Presidents of the International Sociological Association (ISA) as one of 15 sociologists in the world who ’called upon to adapt the discipline to the upheavals of the twenty-first century’ (see Practicing Social Science: Sociologists and their Craft, by Devorah Kalekin-Fishman, Routledge, 2017). She received a Mulan Award for her Contribution to Education (the first such award in education) from the UK-based Mulan Foundation Network in 2014. As a leading scholar Xiangqun works on the study and publications of China and the Chinese from a comparative perspective in the world. She also acts as 'intellectual entrepreneur' or 'intellectual capitalist' to produce both global public goods and global public good through knowledge transfer, consultancy and publications. Global China Institute aspires to build a bridge between China and the rest of world, the Chinese and the non-Chinese, to participate in the building and governance of a global society. 2018 — 'Professor Xiangqun Chang's On Marxist Sociology is a relatively early work which has systematically discussed the basic content of Marxist sociology in contemporary Chinese sociological circles...... 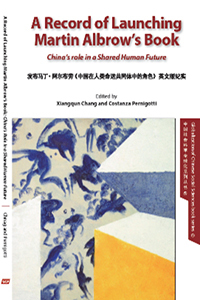 Publication of the new edition of this book will have a considerable impetus for us to construct today’s Chinese sociological discipline system, discourse system and academic system with China’s characteristics'. By Professor XIE Lizhong, Director of Centre for Social Theory Research, Peking University; President of the Theoretical Studies Committee of the Chinese Sociological Association, China. 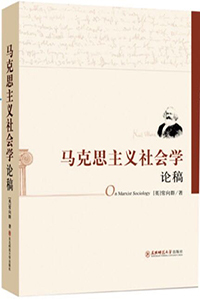 'Professor Xiangqun Chang's On Marxist Sociology is the first book published after the restoration and reconstruction of sociology in China, and it is still one of the few Marxist sociological research works to date, retaining great academic value and practical significance...... This year marks the 200th anniversary of Marx's birth. The new edition includes comprehensively updated references, four new Appendices and a new Postscript, bringing the book up to date and greatly increasing its reference value.’ By Professor ZHAO Wanli, Director of the Research Centre for Marxist Sociological Studies, Deputy Dean of the Zhou Enlai School of Government, Nankai University. 2018 — 'How much do we trust the media? Which media do we trust? Are the media of one language or country more trustworthy than those of another? In the ‘big data’ era, how long will deferent forms of media last and how widely will they penetrate? The Record of Launch Martin Albrow's book China’s Role in a Shared Human Future: Towards Theory for Global Leadership is intended to serve as a case study on media coverage of a book launch and, more widely, as an exposition of the true nature of media coverage beyond what appears on the surface.' From 'About this book' on the back cover. 'The purpose of publishing this report ...... is to offer a contrast between the records of event (Part One) and media coverage of the event (Part Two), and to compare reactions and the impact of publication, in both Chinese and non-Chinese sources, Xi Jinping: The Governance of China Volumes I and II...... Such comparisons might be helpful for promoting Chinese and non-Chinese social scientific work on China in a global setting.' From 'Editor’s note' of the book. 2017 — ‘How is the process of globalization effecting changes in the structure of knowledge in sociology? This path-breaking volume looks at the human dimension of developments in the discipline by compiling a set of interviews that exemplify the life and work of a sociologist today. Their ideas and conceptualizations show to what extent a "paradigm shift" has taken root, answering questions such as whether sociology still remains a differentiated, relatively autonomous social science. The chosen interviewees are about equally divided according to gender and have been selected from among professional sociologists in different parts of the globe, with an emphasis on areas that are under-represented in English publications, such as East Asia, Latin America, and Africa.’ Xiangqun was marked out by the Academic Presidents of the International Sociological Association (ISA) as one of 15 sociologists in the world who ’are called upon to adapt the discipline to the upheavals of the twenty-first century’ (see Practicing Social Science: Sociologists and their Craft, by Devorah Kalekin-Fishman, Routledge, 2017). 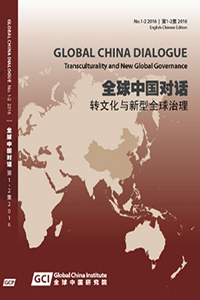 2016 — ‘Professor Xiangqun Chang shares that conviction and has demonstrated her commitment to the cause by initiating the Global China Dialogues and bringing together the voices of the contributors in this volume of proceedings. Her innovative energy and their fresh and uninhibited engagement combine to demonstrate to the world the rich potential of Chinese perspectives on global issues juxtaposed with those of their international counterparts.’ from 'General preface' to the Global China Dialogues Proceedings series, by Professor Martin Albrow, former President of the British Sociological Association, founding editor of International Sociology. 'Congratulations on the whole event (the 3rd Global China Dialogue). All of the panels were really high-powered.' By Professor Lord Anthony Giddens, former Director of London School of Economics and Political Science (LSE). 2016 — '...... my congratulations to Xiangqun and all her co-workers in preparing and now publishing the new Journal of China in Comparative Perspective, which builds on my initiative at the LSE where I designed the still thriving Master’s degree on China in Comparative Perspective. The journal and the two book series are an amazing accomplishment, an entirely independent endeavour, and I hope that, given a secure base, they too will thrive.’ By Professor Stephan Feuchtwang, emeritus professor of anthropology at the London School of Economics. 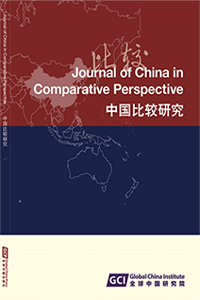 'I am deeply impressed by the quality of the articles of the Journal of China in Comparative Perspective. It will be a major contribution to inform Western understanding of contemporary Chinese thought. I am certain it will be well received by academics, particularly those working in social and cultural studies. Editing such a highly intellectual journal is an immensely demanding task. You have done an excellent job.' By Professor Wolfgang Teubert, former Chair of Corpus Linguistics, University of Birmingham; founding Editor of the International Journal of Corpus Linguistics. 2015 — In China’s future social development, there is likely to be an interest in “society building” with interactions between top-down and bottom-up approaches, along with a deepened level of social reform and the construction of a harmonious or “symbiotic” society. This represents one of China’s social development models, and is reflected in the Communist Party of China (CPC) and state policy. The term “society building” was proposed by Chinese thinkers nearly one century ago, and has been used by Chinese sociologists to study Chinese society since the 1930s. In the 21st century, “society building” has been approached as an interdisciplinary concept by Chinese social scientists. The main concern of China for its future social development is to enhance its people’s wellbeing and encourage them to build Chinese society in innovative and creative ways. From 'About this book' on the back cover. 'The concept “Society building”, derived from extensive research of Chinese society by Chinese social scientists over several generations, should be a shared resource of human knowledge. This academic product is made in UK, which signified the academic exchanges between China and the world entered into a new era'. By Professor Zheng Hangsheng (1936—2014), former vice-President of Renmin University of China; Honorary President of the Chinese Sociological Association (CSA), China. 2014 — ’Xiangqun Chang has assembled an excellent team of contributors to discuss the idea of "society building" in China. The term was coined by Sun Yat-Sen in 1917, but it could not be more contemporary – as China wrestles to reconcile the demands of population, resources, democracy and social welfare. This book gives us considerable insights into the alternative visions of social development now being discussed in China.’ By Professor Robin Cohen, author of Global Sociology, Emeritus Professor of Development Studies and Former Director of the International Migration Institute, University of Oxford. 'Drawing on the expertise and insights of scholars from eight countries, this book illuminates the meaning of the ‘China model’ and the implications for China’s societal development and political system. The book tackles this significant issue from a variety of interesting angles. It is well worth reading, especially in light of China’s importance in the world'. By Professor Jonathan Unger, Professor of Political & Social Change Department, founding Editor of The China Journal, Australian National University, Australia. 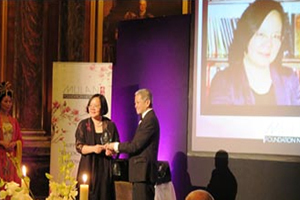 2014 — Xiangqun received a Mulan Award for her Contribution to Education (the first such award in education) from the UK-based Mulan Foundation Network. It was presented by Professor Danny Quah, former head of LSE Saw Swee Hock Southeast Asia Centre. 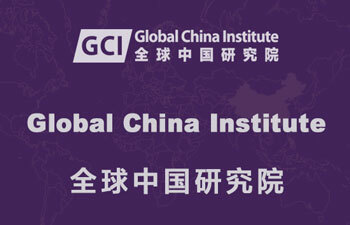 2013 — In addition to her academic work, Xiangqun acted in the role of intellectual entrepreneur from 2013 when she founded Global China Institute (formerly CCPN Global), with a dual mission: 75% is an academic mission to promote the study of China in comparative perspective in all aspects, and 25% is a social mission, in line with the Charity Commission’s requirements including to produce both global public goods and global public good through knowledge transfer, consultancy and publications. Global China Institute aspires to build a bridge between China and the rest of world, the Chinese and the non-Chinese, to participate in the building and governance of a global society. 2010 — 'Chang Xiangqun has provided a wonderful in depth analysis of rural central Chinese social relationships. Building upon the pioneering work of Fei Xiaotong, her study of Kaixiangong retains a strong historical feel as it probes matters of the human heart. Her investigation of Chinese emotional and ethical considerations provides a rich informed and vibrant chronicle ordinary village life. An excellent ethnographic account. This is how anthropology should be.' By Professor William Jankowiak, Department of Anthropology, University of Nevada, Las Vegas (UNLV). 'It is the most ethnographic report on such social phenomenon in today's PRC society after reforms. It uses the everyday life phrase of "li shang wang lai" (reciprocity) to depict and to develop the prevalence and importance of personalized social relations in China. It both makes contributions on localisation of anthropological theory and brings local knowledge alive.' By Professor Hsin-Huang Michael Hsiao, Director of Institute of Sociology, Academia Sinica. 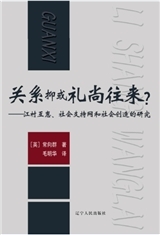 2009 — ‘Xiangqun's major book Guanxi or Li shang wanglai? Guanxi or Li shang wanglai? is the first Chinese scholarly book in nearly 100 years to systematically challenge important Western social anthropological and sociological theories on reciprocity and social exchange.' By Professor Deng Zhenglai (1956-2013), founding Dean of National Institute of Advanced Studies in Social Sciences at Fudan University; Editor of Chinese Social Science Quarterly (Chinese); Editor of Fudan Journal of the Humanities and Social Sciences (English), the only Chinese scholar whose work was cited across six high-ranking social scientific disciplines, e.g. No. 1 in Law, No. 2 in the Political Sciences and No. 5 in Sociology, according to a report on the academic influence of research achievements in humanities and social sciences in China (in Chinese, China Social Science Publishing House, 2007). 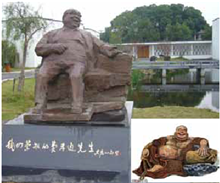 2010 — Xiangqun’s thorough fieldwork in 1996 directly influenced the renowned Chinese sociologist and anthropologist Professor Fei Xiaotong’s conclusion that the historical mission of the collective economy based “Southern Jiangsu Model” had come to an end. A few months later, the transformation of collective enterprises into private enterprises was completed smoothly.— Social Changes in Kaixiangong Village (in Chinese), by Zhu Yunyun and Yao Fukun, Shanghai People’s Publishing House, 2010. Marxist sociology and social theory. In the past two plus decades Xiangqun has conducted about two dozen research projects and acted with many roles in her career including research assistant, data analyst, researcher, independent investigator, and co-principle investigator. 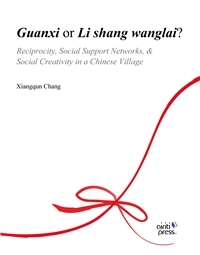 Based on a thorough and detailed ethnography of a Chinese village with longitudinal comparisons, she developed a general analytical concept --‘recipropriety’ (lishang-wanglai 礼尚往来) -- a Chinese model of reciprocity, relatedness and social networks (see Guanxi or Li shang wanglai? -- Reciprocity, Social Support Networks, & Social Creativity in a Chinese Village (Taipei: Scholarly Publishing Business, Airiti Press, Inc. 2010). According to Deng Zhenglai, ‘Chang Xiangqun's book … can be seen as a “virtual icon” in which the so-called ‘China model’ is embedded. This book is an excellent outcome based on the author's transdisciplinary training in both China and the West, and long term in-depth empirical studies on contemporary China. It is the first Chinese scholar’s book in nearly 100 years to systematically challenge important Western social theories on social exchange and reciprocity.’ She has been testing the ‘recipropriety model on many projects, e.g. the area of Chinese entrepreneur relationships, inside and outside China with both inter-disciplinary and comparative approaches. Xiangqun had a reputation as an excellent teacher when she was a university lecturer in China. In the UK she does not hold a formal teaching post. However, as well as playing a role as co-supervisor for Masters and PhD students, acting as internal and external PhD examiner and providing advice to CCPN team members worldwide at all levels, she also gives seminars and lectures, and often participates in conferences. 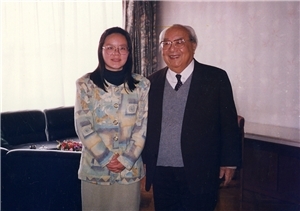 Based on her research work, Xiangqun has given more than 70 seminars and lectures in recent years. It is expected that some of the recent talks will be published as two essay collections entitled: Study of Fei Xiaotong’s theories and restudies on Kaixiangong Village (Vol. 1); and China Studies and Relationship Research on China (Vol. 2), due to be published in 2015. 2016 Recipropriety (lishang-wanglai): A Chinese model of social relationships and reciprocity – state and villagers’ interaction 1936–2014, Journal of Sociology, March 2016 vol. 52 no. 1 103-117. 2015 Globalization of Social Scientific Studies on China --- Commemorating the 100th Anniversary of Professor Fei Xiaotong's Birth (vol 1.in English and Chinese) eds. Feuchtwang, Chang and Zhou, etc. London: Global China Press; Beijing: New World Press. 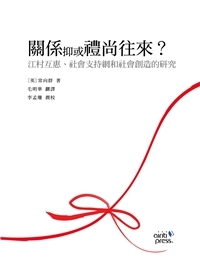 2015 'Guanxi or renqing – interpretation of the concept of ‘recipropriety (lishang-wanglai)’ in Chien Chiao, ed. 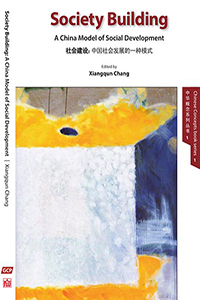 Strategy and Relationships: Contemporary Chinese ways of thinking in management studies (in Chinese). Taipei: Airiti Press, p103-117. 2015 Zheng Hngsheng's life and work, Network, Magazine of the British Sociological Association, Spring. 2014. Editorial. with Caldwell, Leoussi and Whimster, Max Weber Studies, Vol. 14.2. 2014. 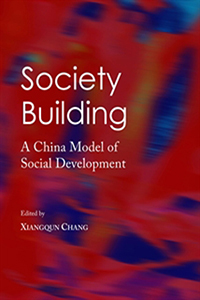 Society building -- A China Model of Social Development, Cambridge Scholars Publishing. 2014. ‘Introduction Two: China Model and Society Building’, in the above edited volume. 2011 with G. Hamilton. 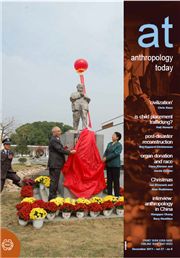 China and World Anthropology -- A conversation on the legacy of Fei Xiaotong (1910-2005), Anthropology Today, No.6). 2010 (e) Guanxi or Li Shang Wanglai: Social Support Networks, Reciprocity and Social creativity in a Chinese Village (completed version in Chinese transitional characters), Scholarly Publishing Business, Airiti Press Inc.
After participated in workshops e.g., 'Getting Research into Practice (GRIP)' and 'Engaging with Business', by the ESRC (The Economic and Social Research Council)’s Knowledge Transfer team in 2007 Xiangqun created the CCPN website at LSE, the only bilingual website in the English speaking world which focuses on social scientific studies on China. As a part of CCPN's knowledge transfer strategy and public engagement activities the CCPN Global continues to support the Speak to the Future's campaign, which was funded by the British Academy as part of its Language and Quantitative Skills Programme. 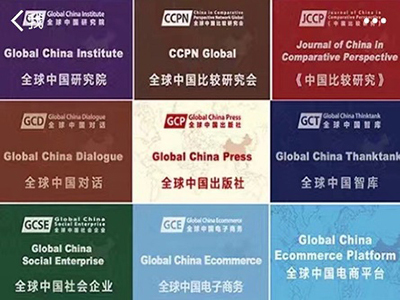 From 2013 Xiangqun founded Global China Institute and CCPN Global and a series of entities to promote comparative studies between China and other countries and regions. CCPN Global participates in the Campaign for Social Science (CfSS) of the Academy of Social Sciences (AcSS), and became one of sponsors of the CfSS. Through Global China Thinktank (a knowledge-based think tank for social consultancy aiming to bring resources from China and the Chinese and comparative studies to the world), and Global China Dialogue (with the concept of transculturality aims to enhance public understanding of global affairs and participating in global governance) CCPN Global carrys out its social mission for participating in shaping a global society. The Global China Press is the first publisher focusing on bilingual publications of comparative studies of China, Chinese and non-Chinese perspectives of China and the World in a global context. It also publishes the only peer-reviewed academic journal with a bilingual element for comparative studies of China in the world in 2015.